This year, we wanted to make an effort to get you out information ahead of the final mailing for the Constitution & By-Laws Amendments for you to review earlier than normal and by having these available on the website. These resolutions are still in flux and may or may not remain in their current wording or form all the way until National Convention. If anything changes, we will note this in the website, and will mail an updated resolution after the cut-off. 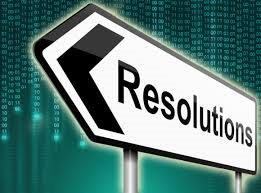 Final Resolution Numbers will not be attached to the individual resolutions until the closing date for receiving resolutions at National Headquarters, at which point they will be numbered as closely to the order of the Constitution & By-Laws as possible. Please keep an eye out on the website for updates to these resolutions, as well as new resolutions being posted as we move forward. We will also post additional materials on the website as we get closer. Please review these with your State and Squadron membership. If you are sending any delegates to the National Convention, please be sure to let them know about these in advance so that they can best represent the wishes of your Squadron. We hope to see you soon in Orlando!